Having a hard time catfishing? Maybe you’re using the wrong bait! Find out the best catfish bait secures a catch every time.The key to catching any fish is using baits? food baits, insects, worms, and fishing lures. The technique is to present an “appealing offering” to the fish. Sizes, shapes, color, movements and basically all kinds of tempting appearances will attract a fish’s attention. But the baiting a catfish is a different matter. Catfish are less inclined to appearance but more on the smell and taste that’s why the standard colorful and wiggly fishing lures won’t call a catfish’s attention. The crucial part of catching catfish is using the appropriate bait. However, a catfish’s food preference may differ from another catfish of a different species. Baits preferred by blues are different from that of flatheads and channels. Since they’re all highly distinct from each other, an angler needs to develop specialized baiting techniques for each catfish species. You can’t just throw in a worm or fish and expect flatheads to come biting. First and foremost, you should have an idea what type of catfish lurks in the area you’re planning to fish. From there, choose which bait works for that type. It’s a giant blue catfish right there! It’s not as big as that in every catch though. For some reason, blues go crazy over chads. Anglers have the most success with chads in baiting blues. Similarly, skipjack herrings work perfectly in baiting blues. Chads and skipjacks are the primary forage fishes preferred by blues. Cut them up into cubes then put the pieces on the hook as lures. Perches and bluegills are second when it comes to the top blue catfish baits. They’re not as consistent as the chads and skipjacks but trust me, they’ll work fine. Perches and bluegills both have high oil concentrations which are attractive for blues. Channels hate chasing prey. They like easy meals, so they’ll most likely go for still lures such like punch, dough and dip baits. These baits are contained within a tub, and they have one thing in common- they stink! Remember, catfishes feed by smell and taste. Dip and punch baits are almost similar. Dip baits are the most prolific. They have a jelly-like consistency, so a regular hook won’t hold it. Bait holders have to be used instead. Dip baits are effective catcallers because it quickly emits volatile scents underwater. Another good bait for channels is the punch bait. Punch baits are thicker and textured than dip baits, making it suitable for standard hooks. To load it into the hook, simply push the hook inside the container and get one. They distribute scent into the water pretty fast too. Lastly, we have the dough baits. Dough baits usually appear in the form of a “ball” which can be molded around the hook. They’re very soft and quite messy to work with. Dough baits are soft ball-shaped baits. Chicken and turkey livers are arguably the most popular catfish bait. You can definitely catch catfish with a chicken liver! Aside from channels, chicken livers can lure blues and flatheads too. Make sure to use a fresh liver because channels are excellent smellers and they’ll know if it’s fresh or not. The only con of using liver lures is they’re quite difficult to manage into the hook. Flatheads have a low population so don’t expect to catch 30 in a single trip. You’re lucky if you catch 2 or 3. Flatheads are active hunters and they like live baits that are oily and tasty. Live baits are available in tackle shops. But real anglers love challenges so a much better way to get live baits is through a rod and reel. which are actually effective in attracting different catfishes with their characteristic appearance, taste, and smell. See the best commercial catfish baits below! Tired of spending money on baits that never catches a single catfish? 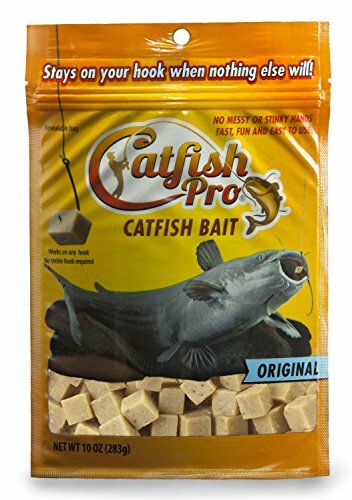 You should try the Catfish Pro Original Bait! “It stays on your hook while nothing else will”were the exact words of the manufacturer. This punch bait is cuboidal in shape and has a solid form, making it stay firmly on the hook, unlike slimy livers. To use it, run your hook on the pre-cut hole of the bait then cast. No need to touch the bait so say goodbye to stinky hands! I’s very rich in oils, proteins, and amino acids which are very appealing for cats. This particular bait doesn’t stink and smells very little too. 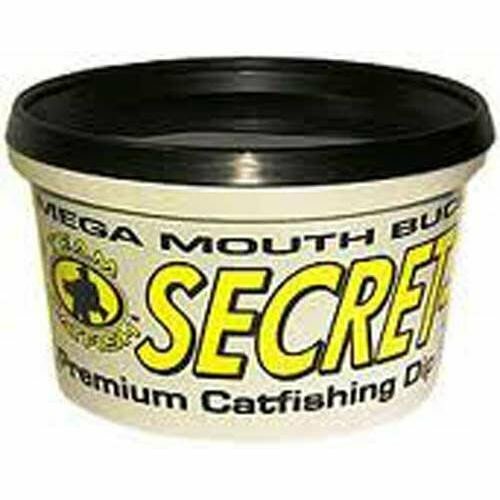 The Secret 7 Premium Catfish Dip Bait won twice as the “Bait of the Year” at Bass Pro Shops Big Cat Quest. Doubtlessly, this dip bait will work wonders. This bait is a sticky solution that resembles cookie dough. It’s waterproof, and it stays on the hook for just a short time because apparently, dip baits aren’t meant to hold up for longer than half an hour. To use it, you’ll need a treble hook first. Next, carve out a 3″ deep hole in the middle of the dip pint then drop the hook into the hole. Cover the hole with the solution then pull it out. The 12-ounce dip bait shares almost similar features except this one’s enriched with fiber. The purpose of adding fiber in the solution is unclear, but it definitely increases the catch rate. It’s a favorite of anglers, making it a go-to bait for catfishing. It?s loaded into the treble hook the same as the Secret 7. This awesome bait has a thicker texture than the Secret 7, so it stays on the hook longer when submerged under water. Here?s a tip: I figured that the dip stays longer with a dip worm rather than a treble hook! Watch the Sudden Impact Bait in action below. The pre-molded chunks emit a natural scent and savory flavor that lures nearby cats. It features a bloody red color similar to a chicken liver. The color might be the same as that of a liver, but these smelly doughs outcompete fresh liver chunks when it comes to the smell and range of scent dispersal. Its unyielding smell and a wide range of scent field make it an efficient lure. You’ll also need a treble hook for loading the dough chunks. 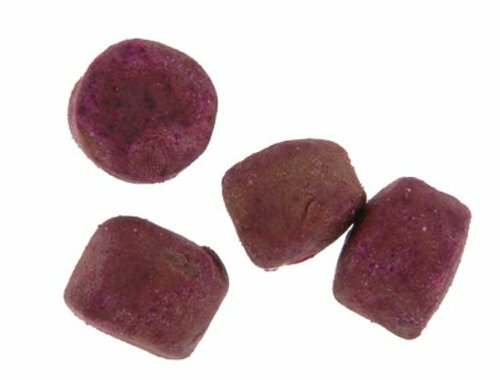 These lightweight dough bait cubes are packed in a scent-proof bag and ready for baiting. One bag contains plenty of cubes sufficient for one whole day at the riverbanks. Like the chicken liver, chicken blood is a dependable catfish attractant. Like the rest of the baits in this list, a dough cube needs to be attached first to a treble hook prior to casting. 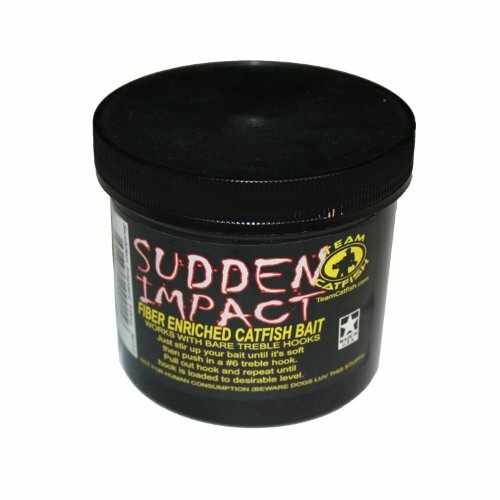 The best commercial catfish bait for channels and blues is the Team Catfish Sudden Impact Dip Bait Jar. It’s proven to be very effective, making it a go-to bait for anglers. It won’t stink your hand because you don’t need to touch it, it’s easy to attach to the hook and stays longer underwater compared to other dip baits, and most importantly, it attracts catfish pretty quickly which increases the catch rate. The only con of this product is it’s quite messy to work with but after a few uses, you’ll get the hang of it. On the other hand, the perfect bait for flatheads would still be fresh, live fishes like perches, goldfish, and mudcats. No commercial bait can ever surpass the effectiveness of a live fish for baiting flatheads. Hey angler! Are you fond of catfishing? What baits (natural, commercial or even weird baits) do you usually use? Are they effective? Can you suggest other baits? Comment your thoughts below! Wait up! Can you share this article please? We’d really appreciate it.